1	5	I Wanna Be A Woman of God! From the best-selling author of Soul Sista and wife of Matt Redman - Beth Redman writes a unique and much needed book, encouraging young women in their relationship with God and with others. The book designed for women in their late teens and twenties and is the spiritual equivalent of a day at a health farm, but with deeper, longer-lasting benefits. Beth sets out, from a strong scriptural basis to discourage and prevent what is known as the 'women's disease' and the fears that women in today's society face - including paranoia, inferiority and insecurity. The book is about learning to be secure, without comparing to others and how society judges today, due to influences all around us. Beth writes a powerful guide that encourages young women to fight fears and return to God's original design for women and his love for them. I Wanna Be A Woman of God! by Beth Redman &;International Bible Society was published by Hodder & Stoughton in July 2005 and is our 11754th best seller. 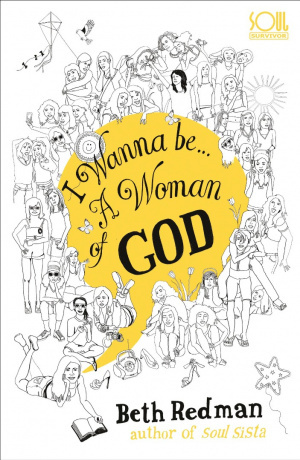 The ISBN for I Wanna Be A Woman of God! is 9780340862261. Reviews of I Wanna Be A Woman of God! I loved the book. It really made me desire to be a women of GOD not just a women a mighty women.what an inspirational book.every young women should buy this book as it teaches you alot. Got a question? No problem! Just click here to ask us about I Wanna Be A Woman of God!. Details for I Wanna Be A Woman of God!